Teeth braces is a common term used to describe brackets that are applied to the surface of teeth. Teeth braces are made of stainless steel, ceramics, gold plating, and other materials. Their purpose is to help correct problems and issues associated with teeth, jaws or both. 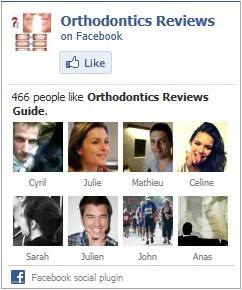 Braces don’t work alone. Treatment may also include things like palate or jaw expanders, spacers, headgear, tiny elastics, and other fixed and removable appliances. Some patients even need permanent teeth extracted before orthodontic appliances can be applied. Braces are no longer just for kids. Adults with healthy teeth are wearing them too. If jaws and teeth aren’t growing and developing properly, the orthodontist is trained to recommend the most beneficial age to begin orthodontic treatment. 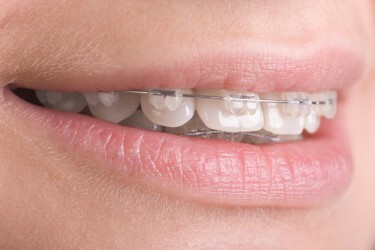 What Are Dental Braces Type? Braces (also called ‘orthodontic appliances’) can be as inconspicuous or as noticeable as the patient desires. Brackets (the part of the braces that attach to each tooth) are smaller. Some brackets are attached to the back of the teeth, making them less noticeable. Brackets are made of metal, ceramic, plastic or a combination of these materials. Some brackets are clear or tooth-colored. For those who want to show off their braces, there are brackets shaped like hearts and footballs, and elastics (orthodontic rubber bands) are available in school colors and holiday hues such as red, white and blue. There are gold-plated braces and glow-in-the-dark retainers. Two types of braces are available: fixed, which are worn all of the time and can be removed only by the dentist, and removable, which the patient can take out of his or her mouth. The dentist selects the type based on the patient’s treatment needs and how well he or she will follow instructions regarding care and oral hygiene. Although treatment plans are customized for each patient, most people wear their braces for one to three years depending on the conditions that need correcting. This is followed by a period of wearing a retainer that holds the teeth in their new positions. Although a little discomfort is expected during treatment, today’s braces are more comfortable than ever before. Newer materials apply a constant, gentle force to move teeth and usually require fewer adjustments. Good oral hygiene is especially important for people wearing braces. Brushing regularly, as directed by the dentist, flossing daily and scheduling dental visits can help keep teeth healthy. Brushing and flossing remove plaque, a sticky film of bacteria that forms on teeth. If plaque is not removed regularly, it can lead to caries. Patients with braces should maintain a balanced diet and limit between-meal snacks. Your dentist may recommend avoiding certain foods that could interfere with braces or accidentally bend the wires. These foods may include nuts, popcorn, hard candy, ice and sticky foods like chewing gum, caramel or other chewy candy.